My friend Anne was visiting from Virginia a couple of weeks ago and staying at the Marriot at Union Station in downtown St. Louis. I picked her up to go out to eat on a Wednesday night and since we were both hungry I checked my Tom Tom to see what was close. Landry's Seafood House just jumped out at me, I must have been in the mood for seafood. Landry's is a chain﻿, from the same people who bring you Joe's Crab Shack, and I don't usually write about chains but since there's only about 20 in the country I thought it would do. I have another reason to tell you about which I will get to in a minute. 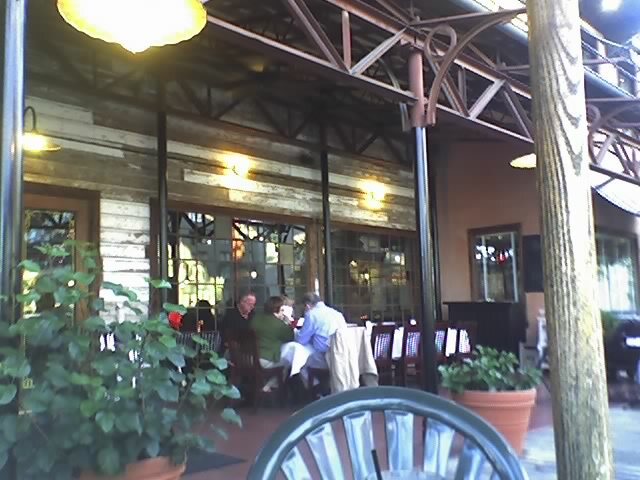 Since it was a beautiful night with the temperature about as perfect as it can be we decided to eat out on the patio. It was right next to this artificial lake that was chock full of koi. Great atmosphere for a seafood dinner. Anne and I both ordered the fried seafood platter. The salad that came with it was definately a step above the usual lettuce with a slice of tomato you see so often. The stuffed shrimp amd crab were both wonderful and the rest of it was, too.﻿ We ate every bit of the seafood only leaving some of the bed of french fries and onion strings it was served on. ﻿Lucky for us (and the real reason I'm telling you about this place) is that Wednsdays are Blues on the Patio night. 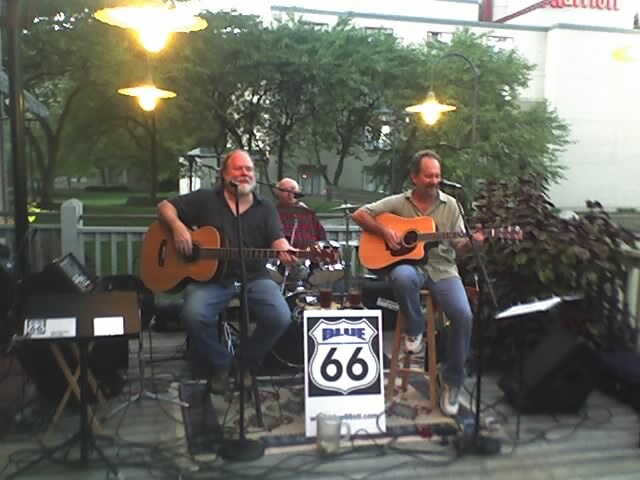 This is the band Blue 66, I loved them! The music was great and was just perfect for our evening out. An unexpected and very welcome surprise we weren't expecting. They said they would be there on Wednesday as long as the weather held out but winter is coming fast, so I doubt they'll be there much longer. They have a great blues/rock/acoustic sound that you just have to hear. Check out their website to see where they'll be playing. Would be nice to watch this on a sunday afternoon picnic.